Microsoft technologies are respected and well known by businesses throughout the world. COGEP chose to use these technologies to provide you with reliable products that you can trust. Development and support for Microsoft development technologies is recognized and assured for many years to come. You can be confident knowing that with Guide Ti, you have a product that will be supported and will work much longer than you will actually need it. With the quantity of resources and support available, Guide Ti can be updated and improved immediately to keep up with market needs and the needs of each of our clients. This capability provides remote sites with instantaneous response time and ensures that the sites continue to have access to the software when interruptions in communication occur between remote sites and the head office. On the other hand, replication permits buyers at head office to work on purchase orders created by users at remote sites and even enables employees at head office and remote sites to share tasks related to the same purchase order. Microsoft .NET Framework is a comprehensive solution for building, deploying and executing all types of applications, including online services. We work with a Microsoft SQL database because it is now just as efficient, heavy-duty and reliable as previous databases. The newest versions, including SQL 2005, are also ahead of other data management systems and you benefit because we offer you more options and opportunities for your solution. The price is more accessible than other databases, which makes implementation easier, respects budgets and allows you to acquire additional licences. The open structure of this database enables the retrieval of information for transfer between systems, where necessary.  COGEP chose Microsoft technologies because they are easier to use and for the large number of well-documented help resources available. We can offer you improvements faster and remain light years ahead of other asset management software. XML allows maximum freedom for data exchange and we want to offer our customers all of the options they need to manage assets. The Internet is playing an ever-expanding role in businesses. There are, however, areas in which use of the Internet is not suitable, at least, not entirely. As it currently stands, all of the functionalities of the customer-server version of complex powerful software like Guide Ti cannot be simply and effectively integrated into Internet technology. Instead, COGEP decided to integrate Web-based functionalities regularly and logically, keeping in mind customer needs and demands. For example, today, consultation and management functionalities are successfully integrated to our customers’ satisfaction. To ensure the success of Guide Ti and customers’ satisfaction, COGEP is constantly examining its product and before proceeding with any changes, asks the following question: Are the needs of customers understood and met completely? COGEP’s service plan provides constant updates of Guide Ti. Functionalities are therefore added to the product based on requests and actual or future customer needs. The development of Guide Ti technology is similar to our approach to implementation: a simple and effective takeover, followed by ongoing improvement. Guide Ti is a user-friendly application for each user in your organization. End users can capitalize on Guide Ti’s functions and capabilities and the in-house computer specialist will find this virtually maintenance-free solution easy to use. Its architecture incorporates familiar and straightforward services to connect the user to the database and the application. Once again, COGEP made choices to ensure the stability and reliability of our solution for our customers’ benefit.